It’s during the third week of June that we see the first touches of green on the tundra. Within a few days, the countryside is deeply verdant. To all who live here, the brief Arctic summer is a miracle. As we enjoy our six to eight weeks of greenery, we thank God for your support for our Catholic mission in this far-flung region. Thank you! Last month, we welcomed Alaska’s Lieutenant Governor Fran Ulmer (left) to KNOM studio C.
Ulmer is the top Democratic candidate for Governor in November. She devoted an hour to answering KNOM listener questions by telephone. The program was produced by volunteer Tim Bodony and news director Paul Korchin. Of course, we extend equal time to all candidates. REALLY, REALLY FISHY? We hope so. Five hundred miles southeast of here, sport fishing for salmon is excellent. In our region, however, where families depend upon the land and sea to feed their families, fishing has been grim for several years. By all expectations, this year will be no better. Each summer, thousands of families leave their villages for even more remote points to live in crude cabins or canvas tents in order to be closer to nature. They subsistence hunt and fish, smoke and cure meat, and gather berries and greens for the winter. It’s long and tough work. In these wilderness camps, KNOM is number one. For most of these people, KNOM’s signal is their only contact with the outside world. Thank you again for making this outreach possible. 17,000: By the end of June, that’s how many inspirational spots KNOM will have broadcast since January 1st, plus an equal number of educational ones. In villages polled by Eastlan and Associates last year, our ratings varied between 79.3% and 100% of adults. Thanks to you, this extremely popular service reaches into thousands of homes and camps throughout 100,000 square miles. INSPIRATIONAL SPOT: The prayer that begins with trustfulness, and passes on into waiting, will always end in thankfulness, triumph, and praise. 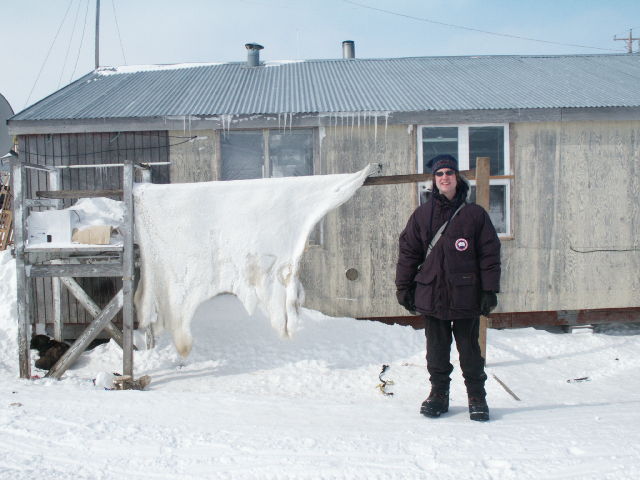 (left) KNOM volunteer John Hall poses with a polar bear skin outside a home in Savoonga. “WEATHER” WE FLY: Late spring brought weeks of dense fog, sleet, snow, heavy rain, hurricane winds, freezing drizzle, you name it! With occasional breaks, the visibility remained below a half-mile, and 90% of the time, the ceiling was less than 100 feet, preventing airplanes from the outside world from landing. One weary traveler finally reached Nome from Anchorage after waiting for three canceled flights, and flying on four jets that overheaded Nome and turned back. It took five days for Florence Busch to get to her father, who was dying in the hospital at Bethel, about 250 miles south of here. Your kindness can continue to inspire and enrich the lives of others for many years into the future. INSPIRATIONAL SPOT: “I’m sorry” is not an easy phrase to say, but it can work miracles. It’s the first step toward resolving differences, and the stress that builds from hard feelings. Admitting you have done something wrong is a natural lesson in humility. It may not change the way someone else feels, but when said with sincerity, it begins to change you from the inside out. Asking for forgiveness goes a step further. It expresses more than your guilt. It voices the desire to heal. top Savoonga is one of Alaska’s more remote villages. Located on St. Lawrence Island, it’s much closer to the Russian coast than it is to Nome. Savoonga hunters use boats with wood skeletons covered with walrus hides sewed together. The traditional Siberian Yup’ik traditional design is among the safest craft for ocean hunting. You’ll find great affection and hospitality for KNOM staff in the village. 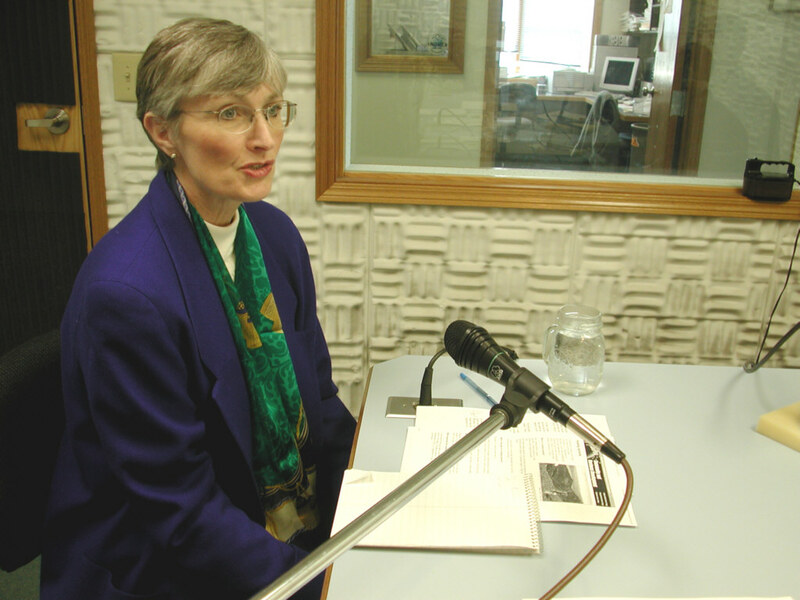 According to a survey of Savoonga residents, most of whom are Presbyterian, 100% of adults are daily listeners to Catholic radio station KNOM. TWO-TIMER: We reluctantly bid farewell to volunteer Andrew McDonnell, who left KNOM in late May following two generous years of service. Andrew loves to write, and has been accepted for post-graduate work by the University of Maine. We will greatly miss him. “WHEEL” DONE: We’ve taken good care of KNOM’s one vehicle, a 12-year-old Toyota 4-Runner, but its 42,000 miles along Nome’s bumpy and dusty gravel roads are beginning to show. We are considering that our best stewardship might be to sell it and use the proceeds to help finance a new truck. What do you think? REIN, REIN: This is the season for the reindeer herds to bear calves in the Nome River valley. A few miles north of Nome, you can see dozens of baby reindeer wobbling along with their mothers. KNOM is the oldest Catholic radio station in the United States. We have earned two NAB “Crystal” Awards, nine Gabriel “Radio Station of the Year” Awards, and more, thanks to you. INSPIRATIONAL SPOT: The love we have known in the life of someone who dies can be carried on. It is this love that can make difficult farewells endurable and our grief consolable. top UNDER CONSTRUCTION: (left) Prophet Systems Innovations field engineer Terry Kegley (in front) teaches KNOM volunteer Tim Bodony how to use KNOM’s new computer system. Terry flew to Nome in mid-May for the several-day installation. At front left, our older “file server” computer is steadily loading spots and songs into the new computer. 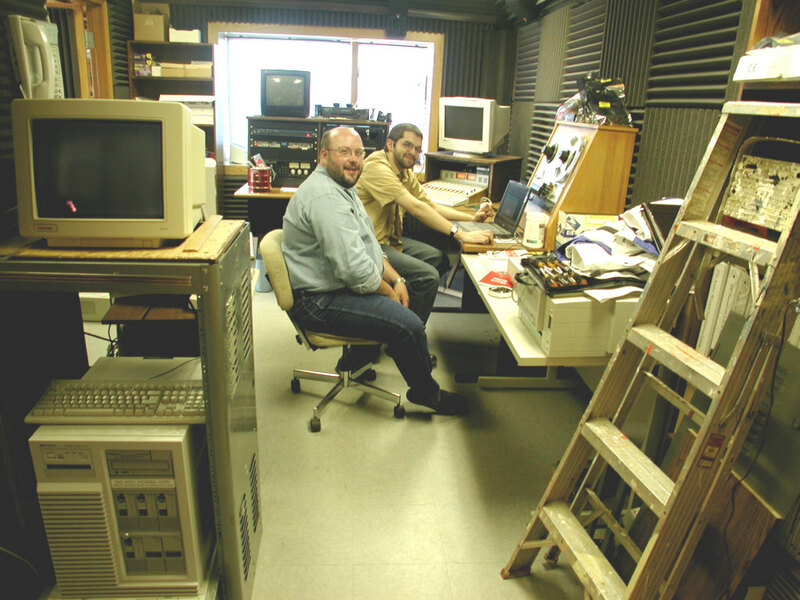 The company provided the new computers at cost, in order to upgrade us to the current standard, which is used by thousands of broadcast stations worldwide. The system records and plays back all of the audio in all of our studios, and controls our air signal 24 hours a day. More next month! 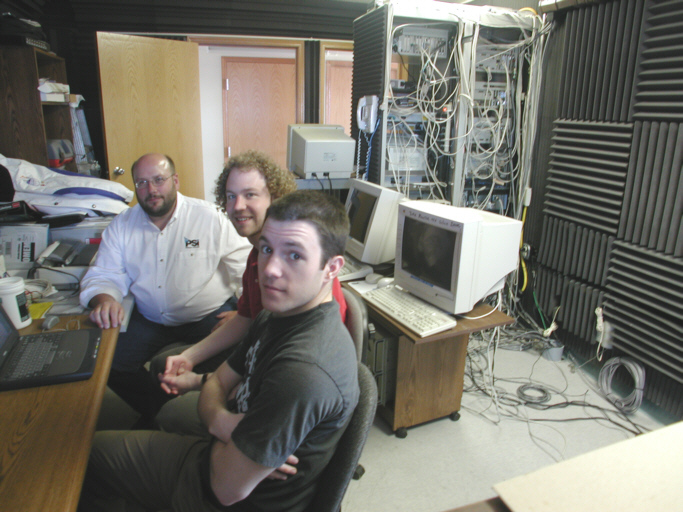 (left) Terry teaches, from left, volunteers John Hall and Ryan Conarro. With both old and new systems running, wiring and computers are all over the place! 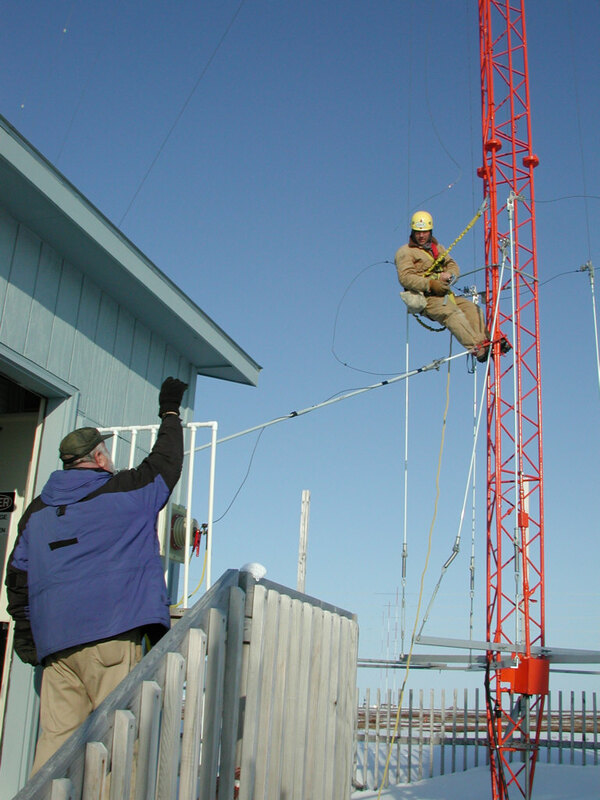 IT’S A SNAP: (left) April 26th, lashing winds broke one of the unipole wires on our AM antenna, forcing us down to 60% power until weather cleared and tower climber Barney Griffiths could restring the cables on May 15th. Here, he checks a detail with KNOM engineer Les Brown. Ordinarily, the wire he’s holding carries about 5,000 volts. 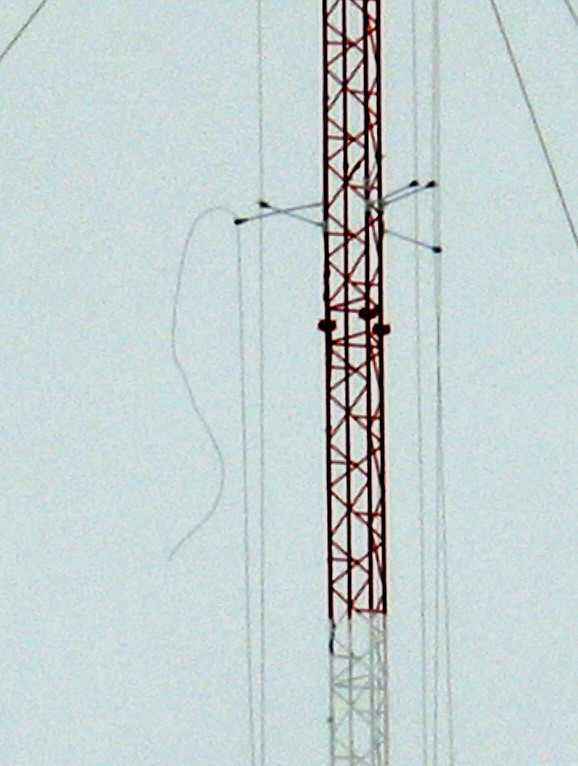 The wire (left) is one of six that surround our tower, held from it by three-foot long insulators, which are also visible in this telephoto image, centered at about the 140-foot point on the tower. As far as we can tell, wind, probably 120 MPH or so, pushed a couple of the insulators around. 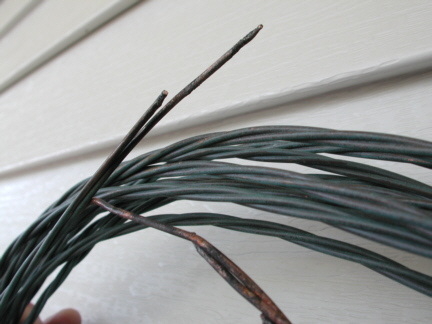 The wire then brushed against a guy cable and burned through. (left) Back on the ground, burn marks are visible on the cable. (left) KNOM is rarely off the air, beaming our inspiration and education 24 hours a day. 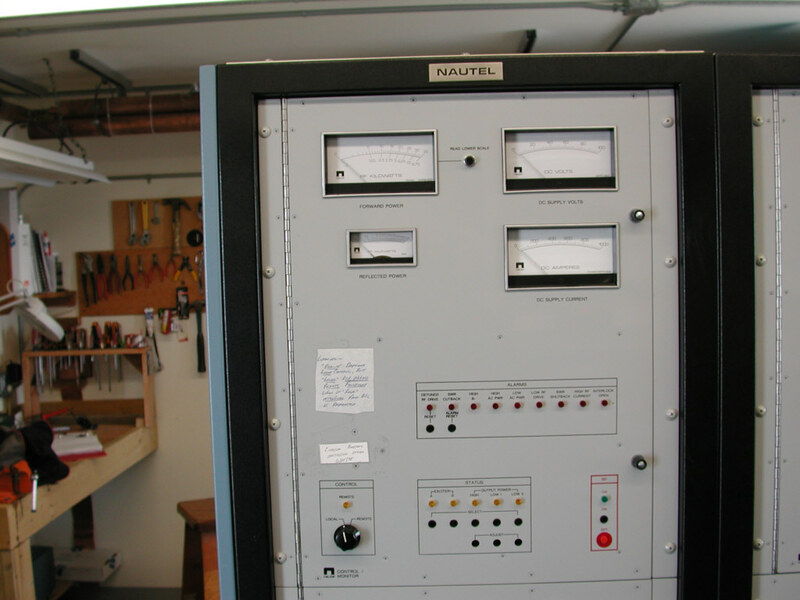 Typically, we sign off for a few hours once a year to clean the inside of the transmitter and to check and tighten all connections. 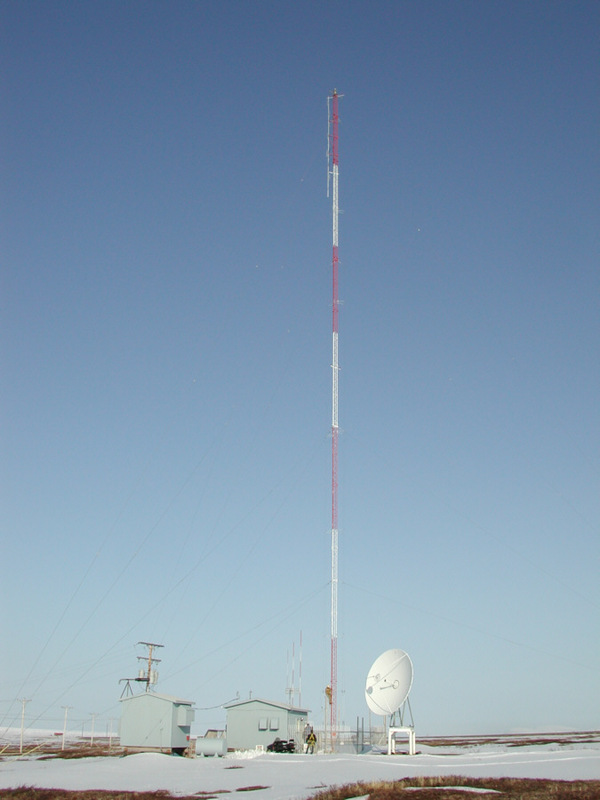 Here, the transmitter is turned off during May's antenna repair. On the control panel, the lower right-hand meter reads zero. Normally, it indicates about 700 amperes of current. (left): A distant view of the KNOM tower site on May 15th. While a foot or more of snow remains in places, areas of tundra are beginning to emerge following the long winter. As you can see, a lot’s happened this past month, far more than we can squeeze into four small pages. We're happy that we can add so many extra photos to this electronic edition of the "Nome Static." Once more, we sincerely thank you for making our work possible throughout this vast region. You are our strength. Please keep us in your prayers, won’t you? We promise to remember you and your intentions in ours. God bless you!